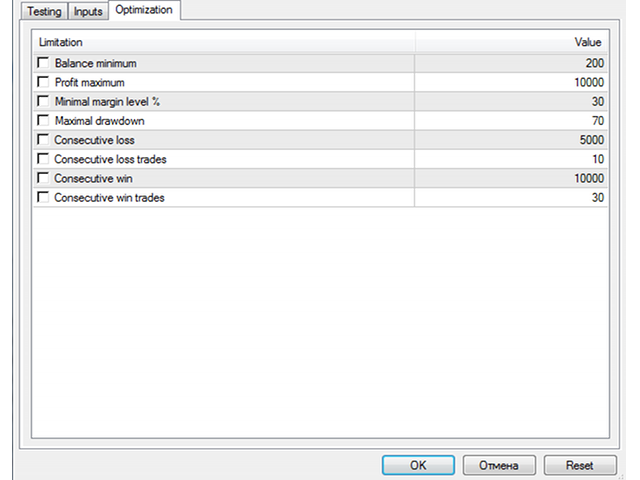 WalkForwardOptimizer library allows you to perform rolling and cluster walk-forward optimization of expert advisers (EA) in MetaTrader 4. To use the library include its header file WalkForwardOptimizer.mqh into your EA source code, add call provided functions as appropriate. Once the library is embedded into EA, you may start optimization according to the procedure described in the User guide. 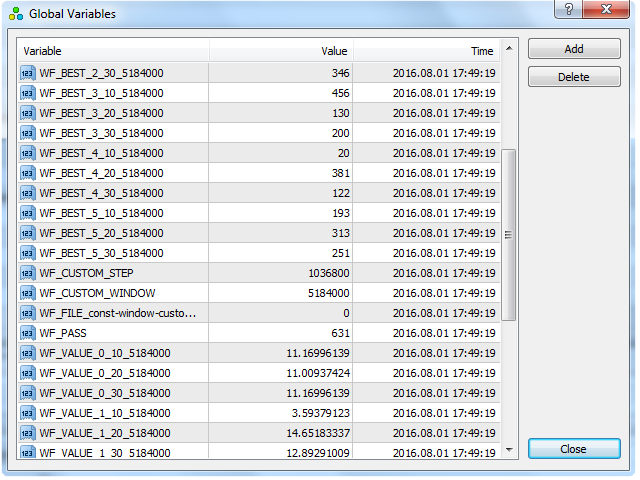 When it's finished, intermediate results are saved into a csv-file and some special global variables. Then you can view and analyse the results by means of accompanying script WalkForwardReporter, which generates comprehensible reports as html-pages. The script is free. 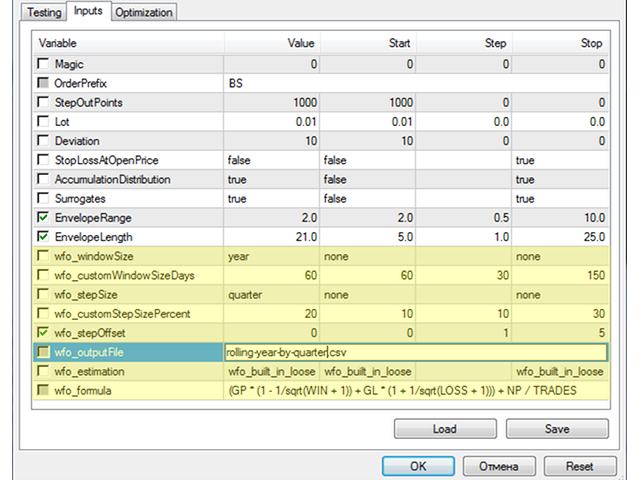 Fixed an overflow error in calculation of forward steps for window sizes larger than approximately 2 years. 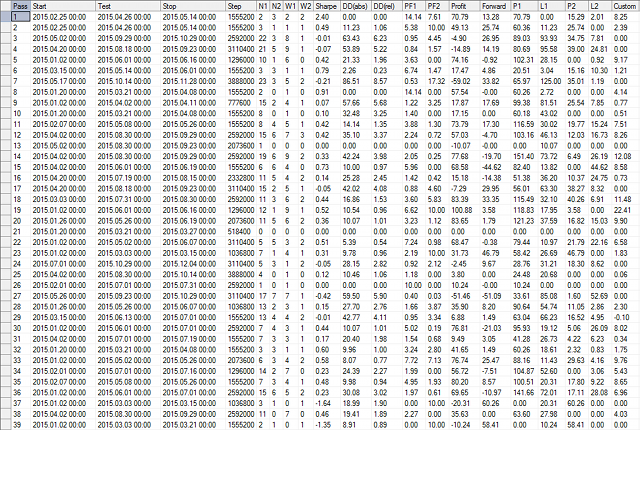 Performance is improved by means of early drop off of those optimization passes, for which in-sample data overlaps with ending date of the tester. Such passes will fail in OnInit with INIT_PARAMETERS_INCORRECT errors. This is an intended behavior. New function void wfo_setCleanUpTimeout(int seconds) added, allowing you to simplify automatic deletion of old csv-files in Tester/Files and WF_-global variables, the presence of which could lead to incorrect data state after next optimization run. For details - see documentation and Comments section. 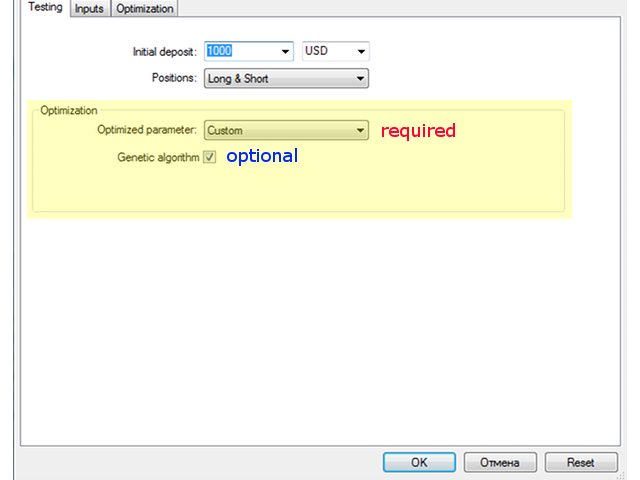 Processing of optimization windows which runs out of ending date of test period is fixed.